Up to 4 colors available in any barrel/cap combination. 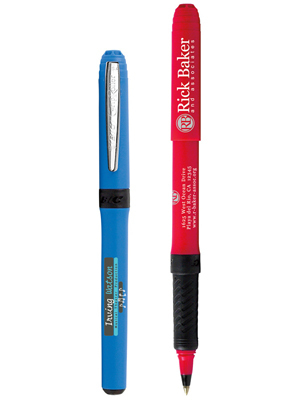 Add $.12 per pen for each color in second location. Metallic Silver except on white barrels.